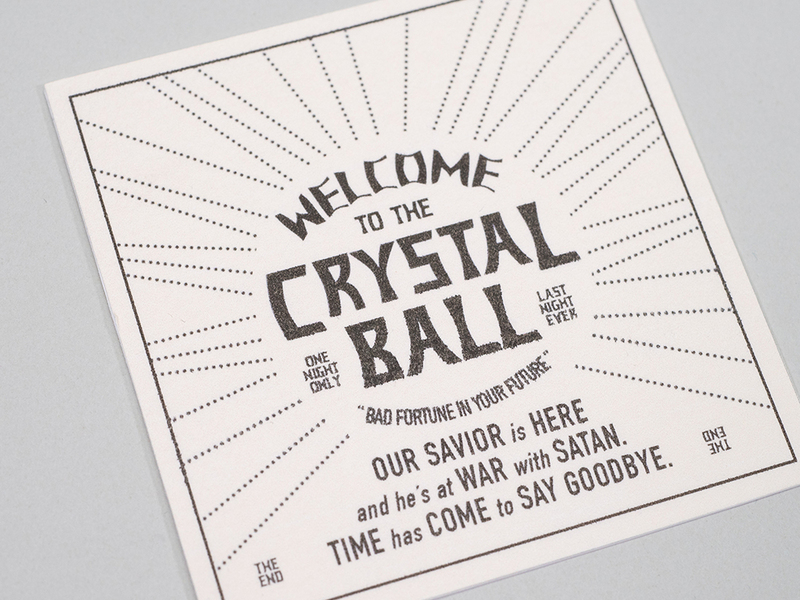 The Crystal Ball is the last event of human existence. 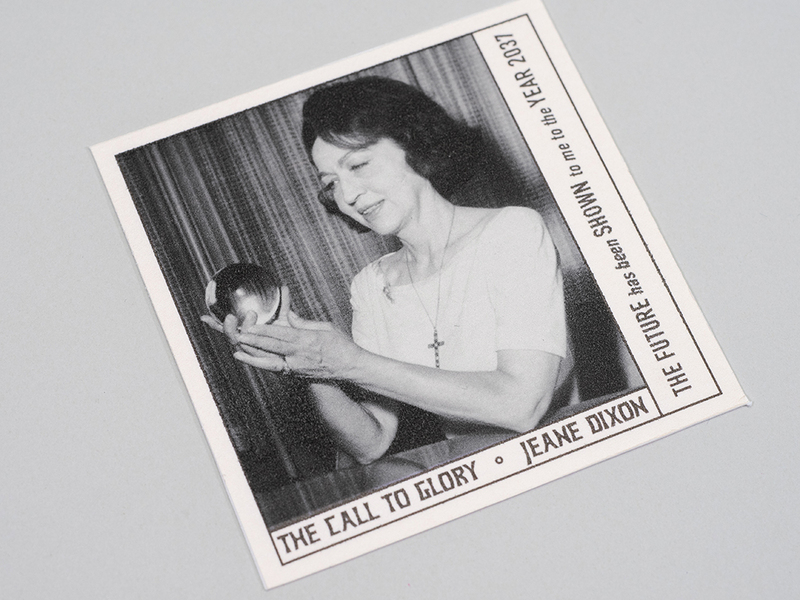 Based on the prediction of psychic Jeane Dixon, the world will end in 2037 by armageddon. 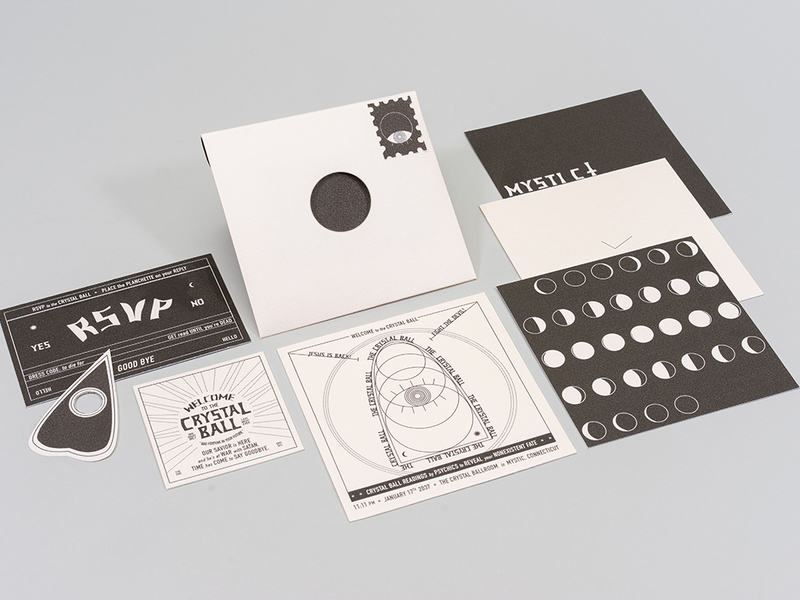 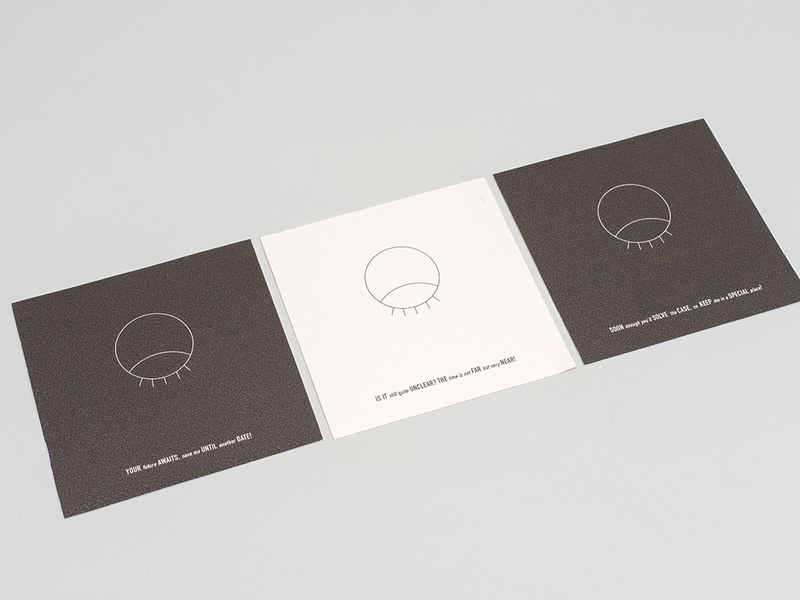 This invitation arrives in pieces, each one with a graphic element and rhyme, and the back side with a closed eye symbol. 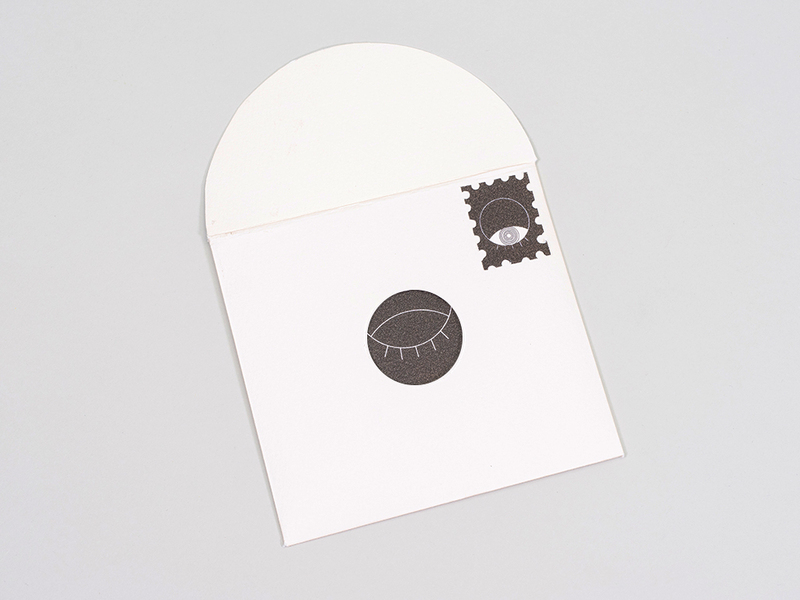 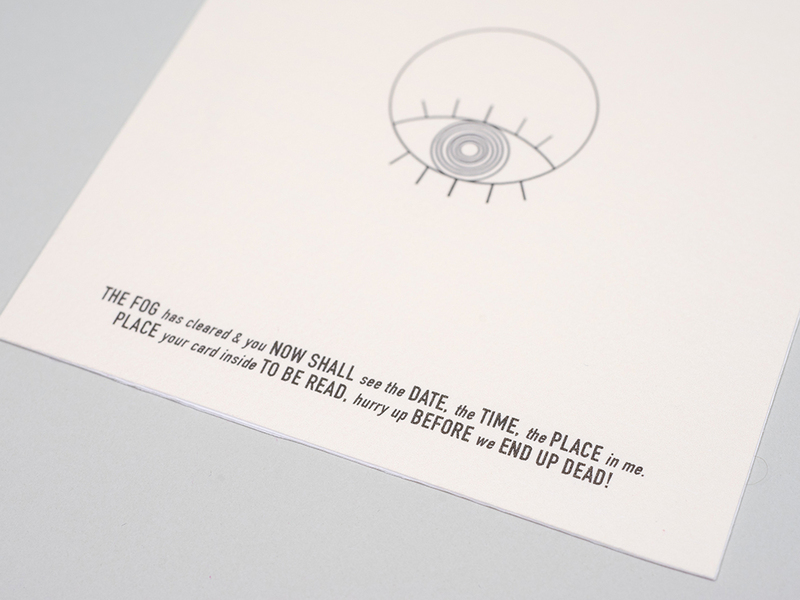 With the final invitation comes the final rhyme, with an open eye symbol, that tells you to put each of the previous cards in the envelope to be read. 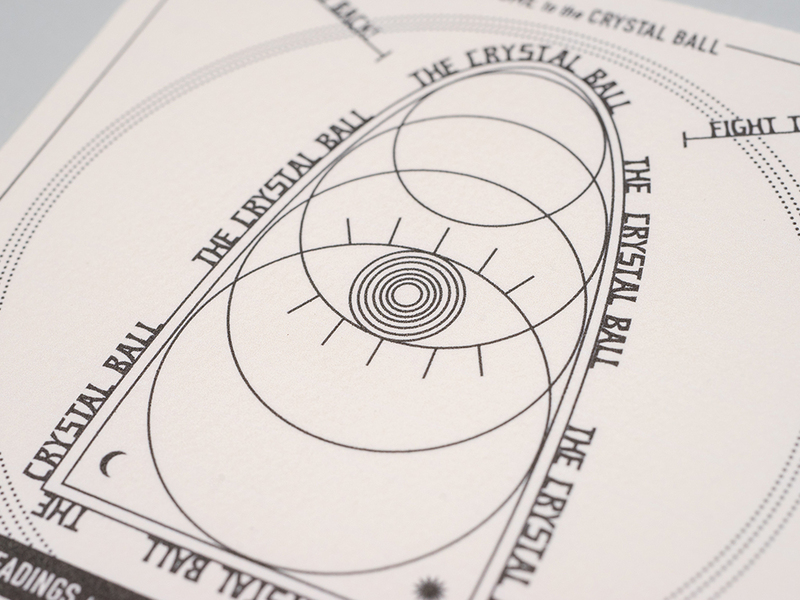 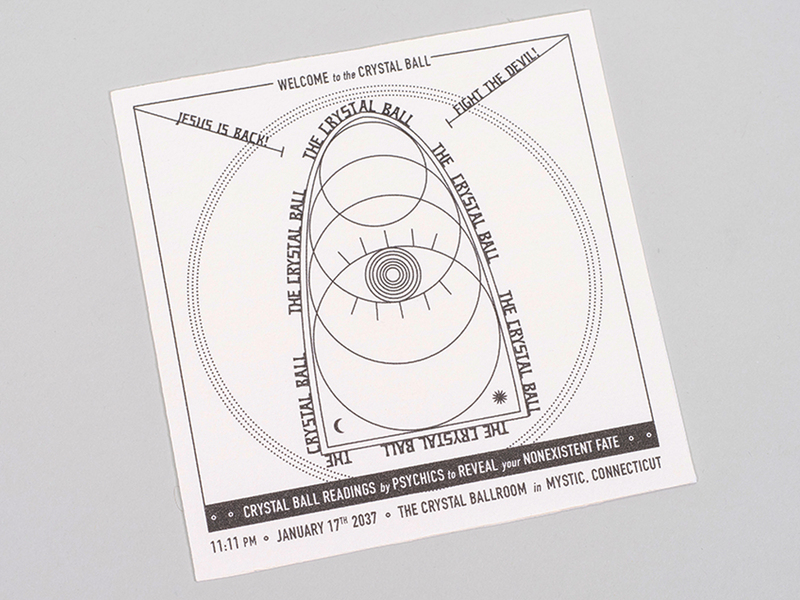 The die-cut circle acts as a crystal ball in which you can gain clarity and read the mysterious cards. When placed in the envelope, each card then shows the date from the lunar calendar, the time from the hands of a clock, and the location of Mystic, Connecticut. 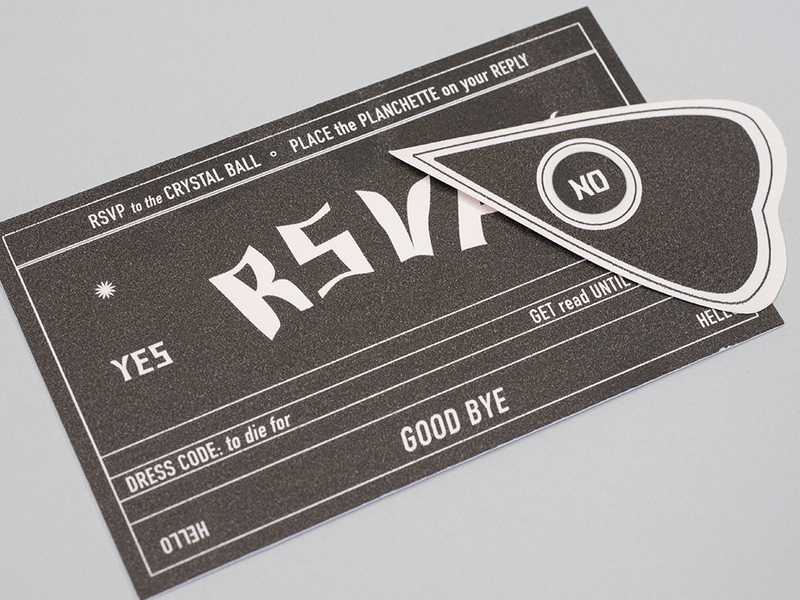 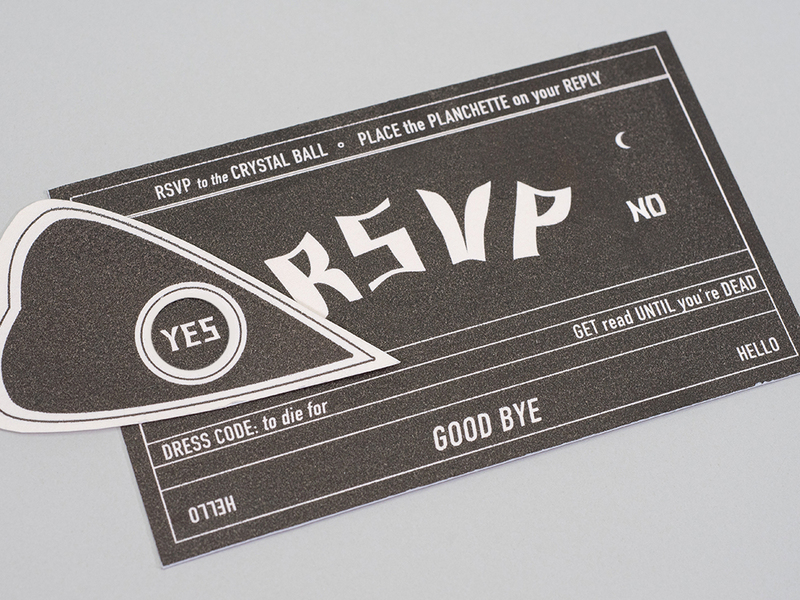 The information is reiterated on the main invite for clarity, and the RSVP is similiar to an ouija board with a sticker planchette to place on your choice.